Carte de visite of the funeral obsequies of Abraham Lincoln in Columbus, Ohio, April 29, 1865. Lincoln's body began the trip from Washington D. C. back to his hometown of Springfield, Illinois, on April 21, 1865. 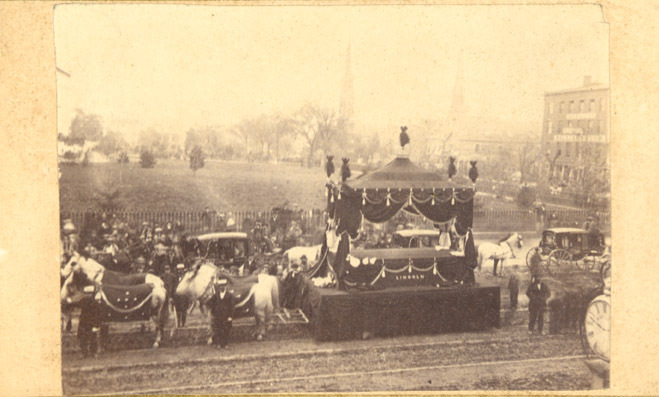 The funeral train generally followed the route that Lincoln took when he traveled to Washington as President-elect in 1861. 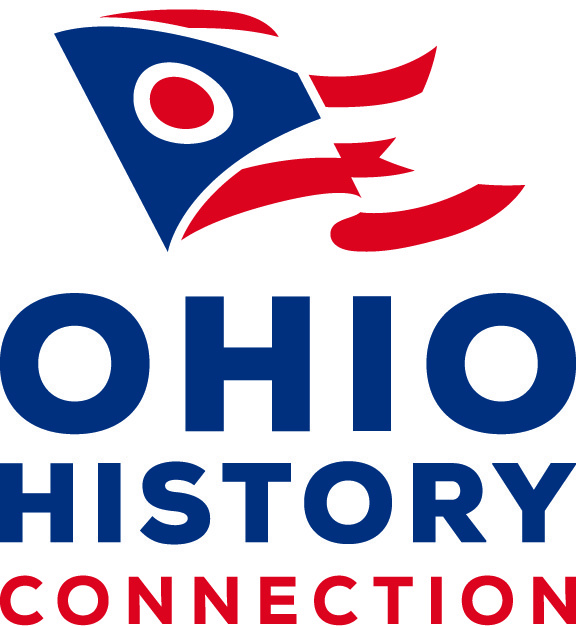 On Saturday, April 29, 1865, the train arrived in Columbus at 7:30 A.M. Lincoln's casket was taken to the Ohio Statehouse where he laid in state in the rotunda. The Statehouse was draped in black crepe for the occasion. Thousands of visitors came throughout the day to honor the fallen President.